NASCAR goes short track racing. 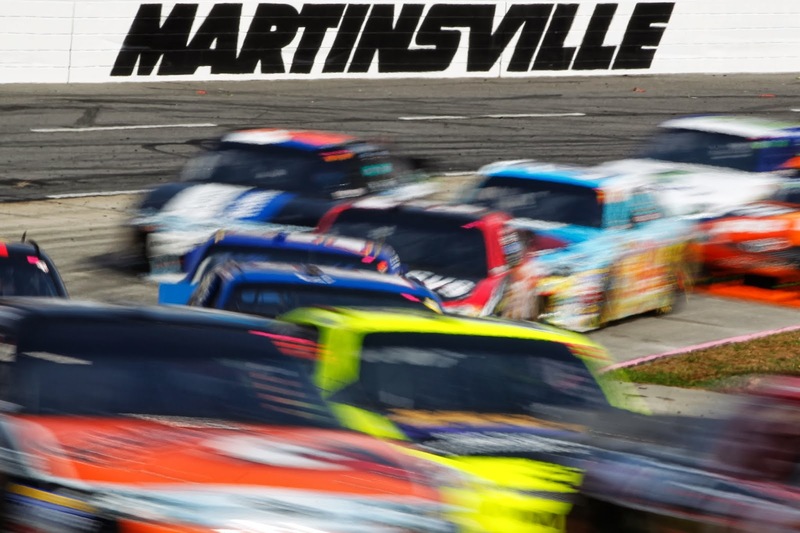 The Sprint Cup Series and Camping World Truck Series converge on Martinsville Speedway, the oldest track on the NASCAR circuit. With four races to go in the Chase, close quarters are bound to breed short tempers. The Nationwide Series will return next weekend at Texas. The following is a handy guide to this weekend's track activities and television coverage at Martinsville. All times are in Eastern Standard Time. 1:30 p.m. NCWTS: Kroger 200, FS1. Green flag: 1:46 p.m.
1:30 p.m. NSCS: Goody's Headache Relief Shot 500 Powered by Kroger, ESPN. Green flag: 1:43 p.m. Reruns at 1:30 a.m. Monday on ESPN2.